The New Jersey Air National Guard has been deployed to Europe to support America's role in the military action against the armed forces of Libya. NBC New York has confirmed the deployment that began Saturday, the first day of the UN-sponsored action. "They have been federalized and they are en route," NJ Adjutant General Glenn Rieth, commander of the New Jersey National Guard, said Sunday. 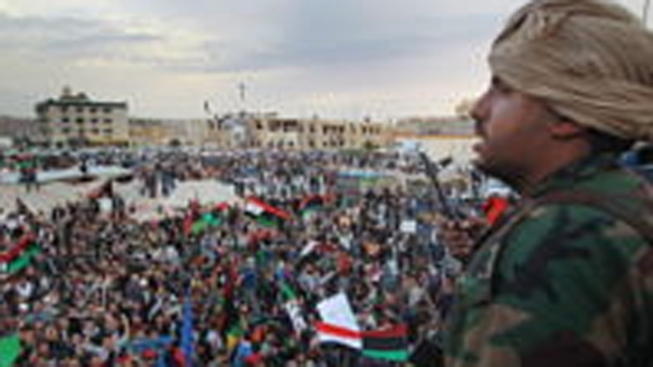 U.S. and European forces fired missiles against Libya on Saturday after Western leaders decided that Moammar Gadhafi's continued assault on his own people left the international community no choice. BBC News reported that a U.S. military official described the actions as "successful" and that more Western planes and bombers were used in raids early today. The Air Guard's 108th Refueling Wing consists of 8 KC-135 aerial refueling tankers based at McGuire Air Force Base in central New Jersey. Rieth would not discuss how many of the huge tankers are part of the initial deployment, nor would he say how many airmen and women were activated. Each plane requires multiple crew members and large numbers of ground support to maintain the aircraft. None of them is expected to see combat, as President Obama said Saturday that "no U.S. ground troops" will land on Libyan soil. However, they can expect to be busy in the skies over the Mediterranean Sea refueling fighter jets maintaining the No Fly Zone. According to the Guard's website, they train frequently with both regular Air Force pilots as well as pilots from NATO allies. McGuire's 108th is staffed by a total of 1,300 "citizen soldiers," and while most live in New Jersey, many come from nearby New York and Pennsylvania. Rieth said Saturday's call-up was "the initial surge, to get them out the door." How long they will be deployed in England, Spain, Italy, Germany or Turkey "is absolutely unknown at this point," Rieth said. New Jersey has a long history with Gadhafi's Libya, going back to the bombing of Pan Am 103 in 1988. Many of the 270 people on the plane were from the Garden State. More recently, Gadhafi a couple of years ago was expected to stay at his U.N. counsel's home in Englewood, N.J. for a General Assembly session. Protests by residents there ended when it was confirmed he would stay instead at a New York City hotel.